This entry was posted in Roles & responsibilities on 2018/04/11 by Susan. Older farmers are more likely to be injured at work than younger workers. Supporting this generation of workers was the theme of AgSafety Week 2018. Many Canadian farmers work well into their later years. These older workers have a wealth of skills and experience, but they also have a higher risk of being seriously injured. They’re also more prone to sprains and strains – injuries that can have a greater impact on an older person. 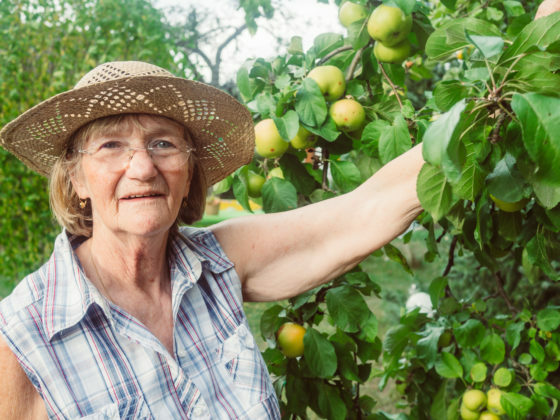 Like many other industries in B.C., agriculture has an aging workforce. That’s why #SupportingOurSeniors was the theme of this year’s AgSafety Week, which took place March 11 to 17. It was the third year of the Be an AgSafe Family series – past years focused on children and younger adults. Wendy Bennett, executive director of AgSafeBC, says that as machines have evolved and become more sophisticated, they require a different level of training and understanding of how they operate. For safety’s sake, everyone needs training on new equipment – especially when it’s so high-tech. The challenge is really on the family, says Wendy. They need to be sure older workers are healthy and capable enough to make good decisions with the equipment. I wrote about the increased risks to older workers operating farm equipment in my post Older farm workers at higher risk of machine injuries. For more information about how to support older workers, see this handout from the Canadian Agricultural Safety Association (CASA) and Be careful Grandma and Grandpa, we need you, an article from Farm Credit Canada. Also see my posts Keeping older workers safe and on the job and Preventing injuries among older workers.